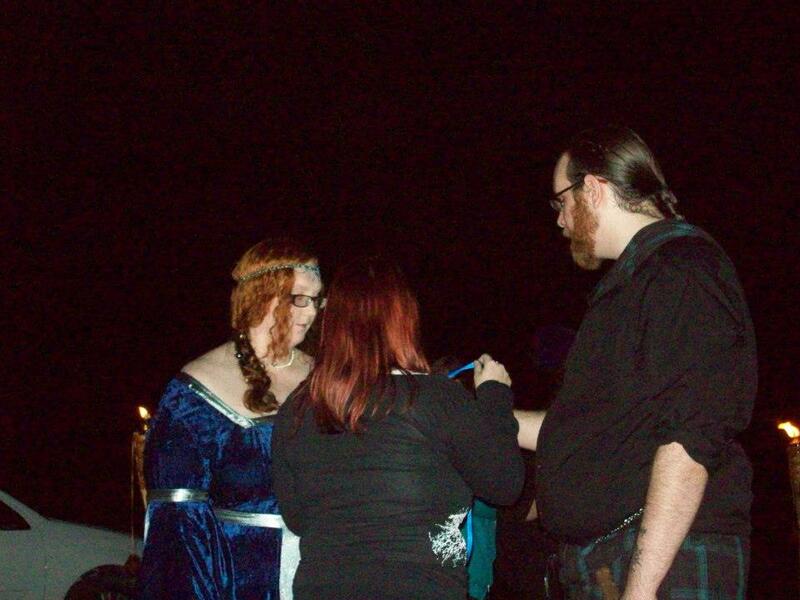 I know I haven’t been on in a long long time, but through the month of September and beginning of October I was planning my wedding. 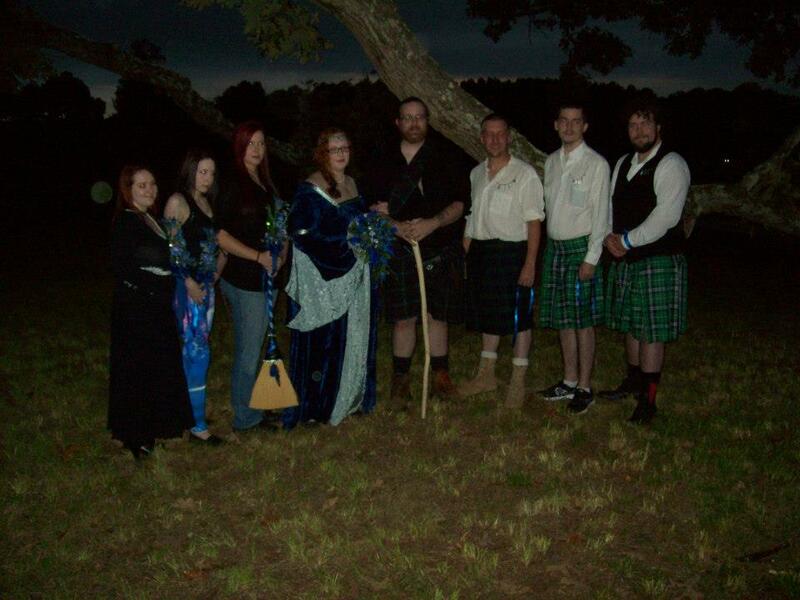 On October 11, 2012 I married my soul mate. It had its ups and downs, but at the end of the day, I had myself a husband. It could have been better. It could have been a lot worse. The people who mattered showed up and everything went smoothly. I think in every wedding you’re going to have a few screw ups or people causing some trouble. I will spare the details of the bad things that happened and share the good things. 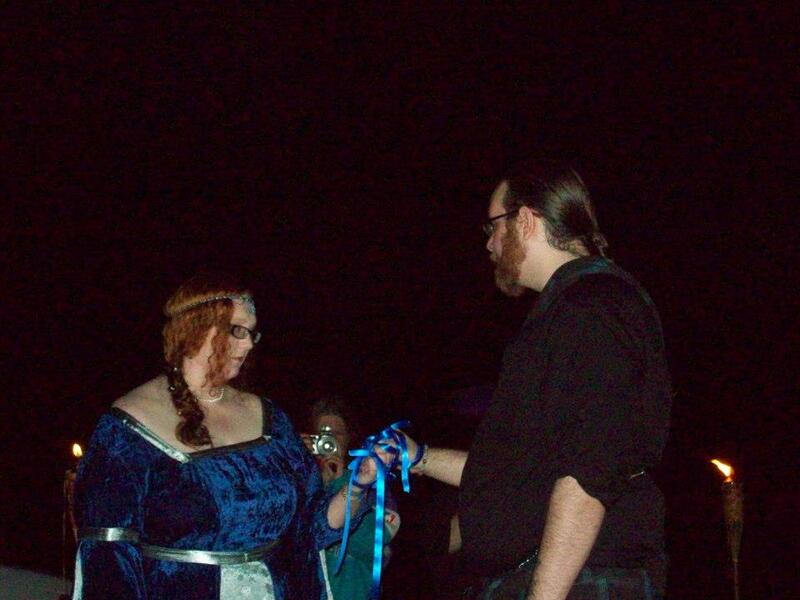 It was a handfasting and not a traditional wedding. 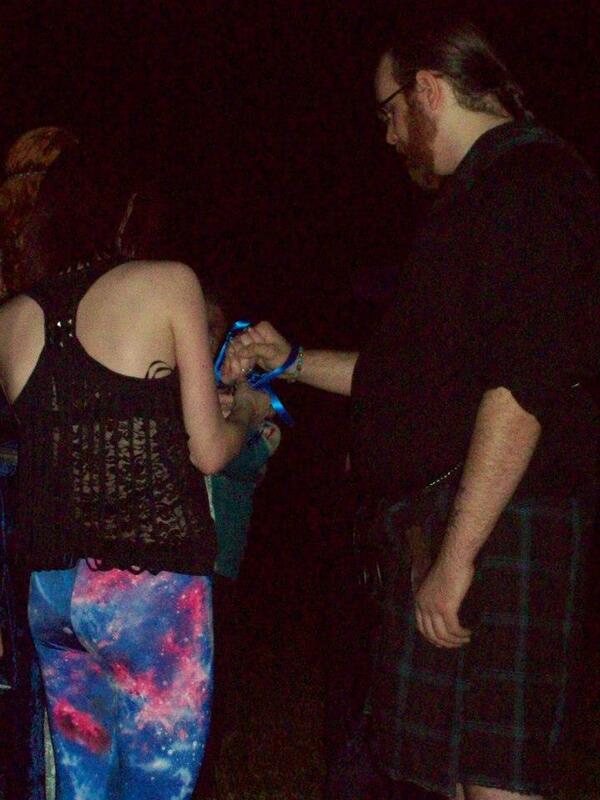 We didn’t exchange rings, though we did order some from a lovely website that engraved an elvish love poem on them. I stayed up all the previous night making my own wedding cake while my adopted mother (an wedding officiator) made the groom’s cake. Groom’s Cake. 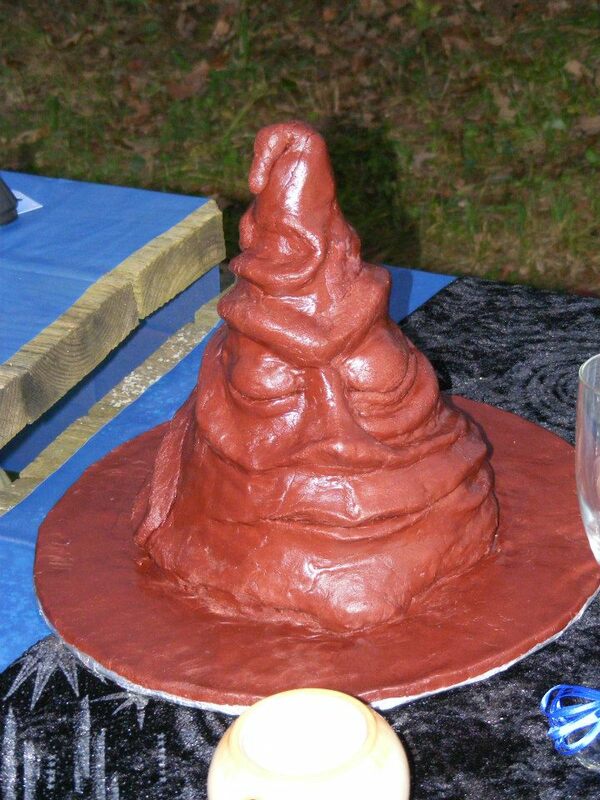 Yes, that’s the sorting hat. 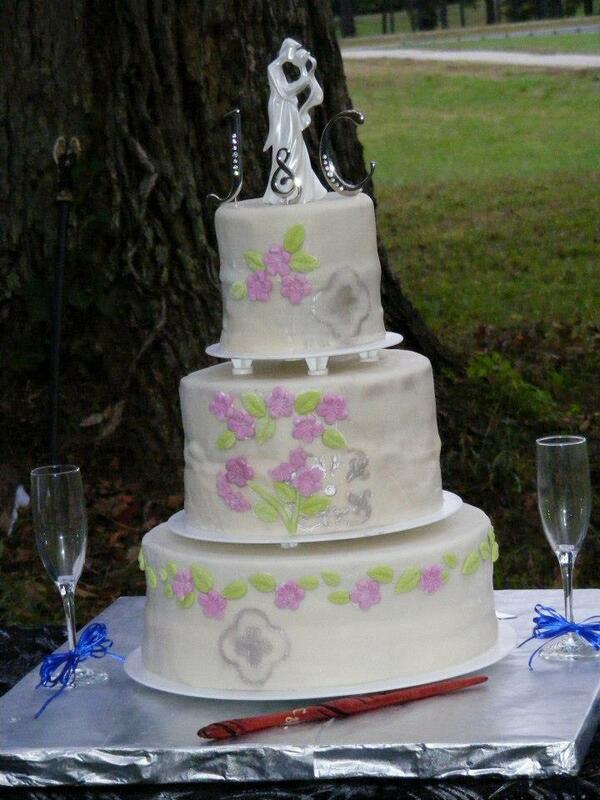 No one wanted to eat the groom’s cake since it looked so cool, but I like to think mine turned out alright. I guess you could say we did have some Harry Potter influence on our wedding. 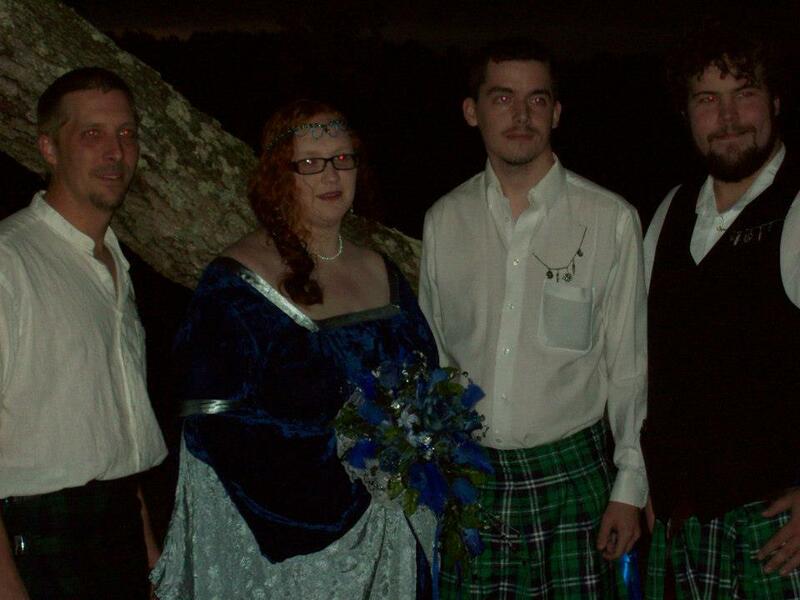 My dress was Hufflepuff colors even though I’m not fond of the House Hufflepuff (more of a Slytherin girl). 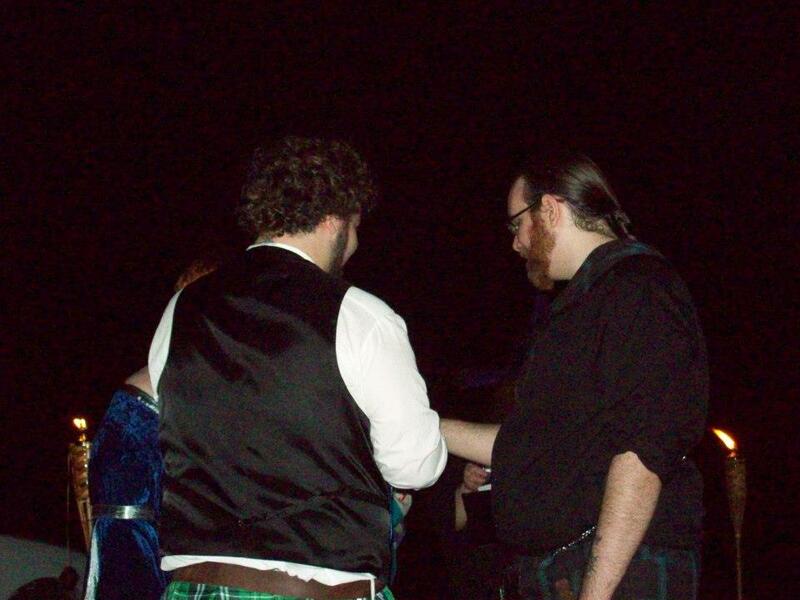 Jesse and the groomsmen wore kilts… yes… manskirts! They looked handsome, in my opinion. 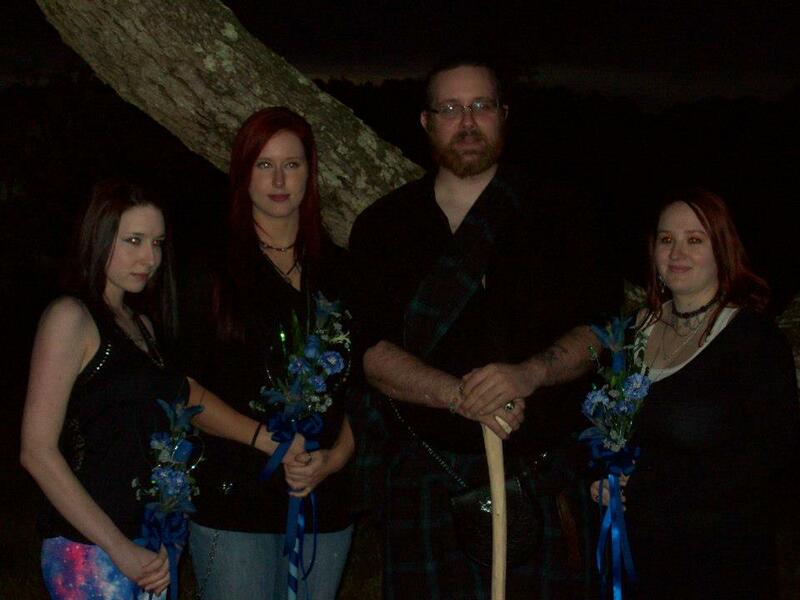 I didn’t have time to make the bridesmaids wear any uniform dresses… just whatever was comfortable. It sometimes felt that I was doing all the work and throwing things at Momma Dawn and Momma Lora to help with. If I didn’t have them, none of this would have happened. A couple of things in this picture: Yes, I am wearing glasses. I would have worn my contacts, but I got an eye infection the day before and even being in the daylight, my eyes were killing me. 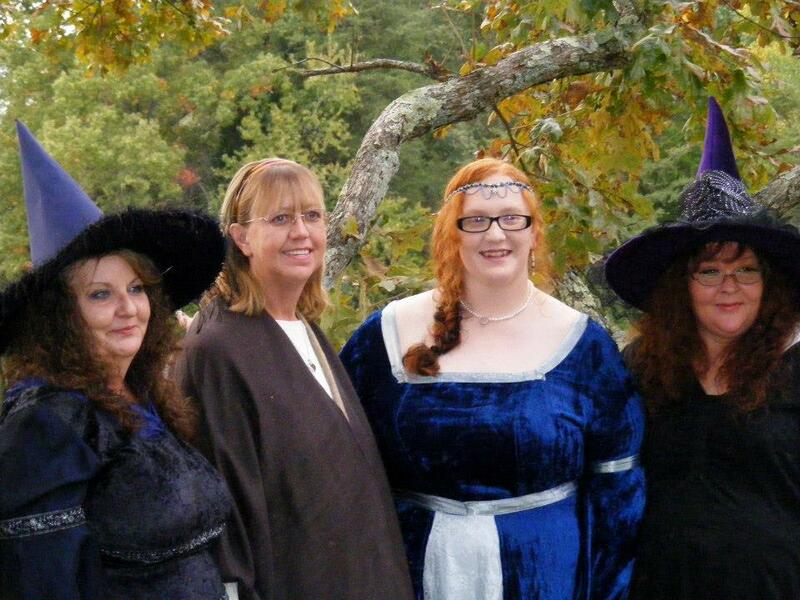 Secondly, Momma Lora made her own dress and hat. I think Momma Dawn made her hat too, but don’t quote me on that. 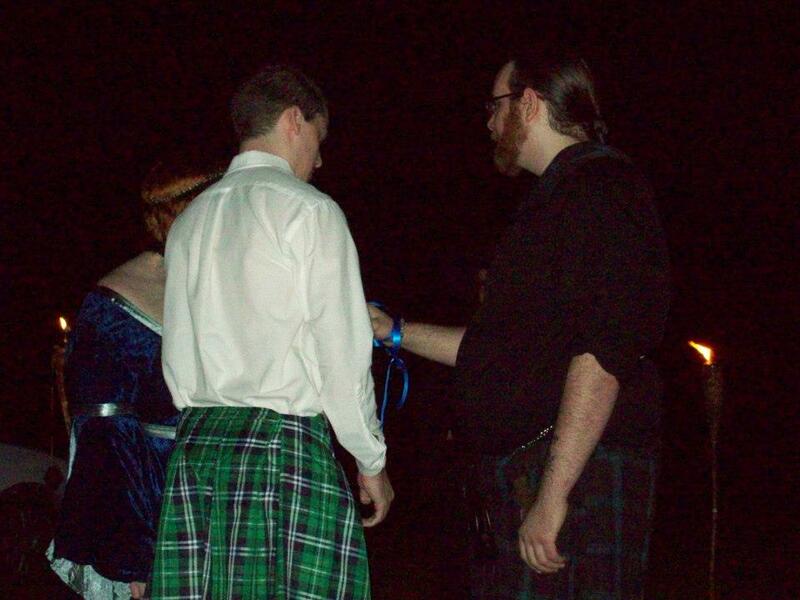 Handfastings usually have the priest or priestess tying cords around the joined hands of the bride and groom. 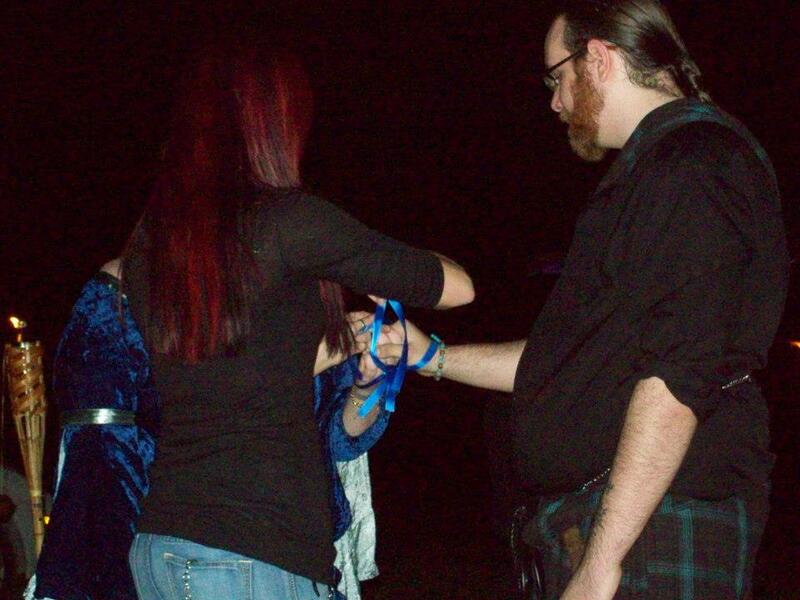 I wanted our bridal party to tie the ribbons around our hands because they were the reason we were together. They each had a part to play in my and Jesse’s relationship; our story of life. I wanted them to know how much they impact us by tying us together. After was said and done, we jumped the broom and voila! We were married. Sorry I didn’t share that many photos, but I’ve got a lot on my plate. Next post I’ll show photos of our honeymoon to St. Augustine, Fl. Exciting! !